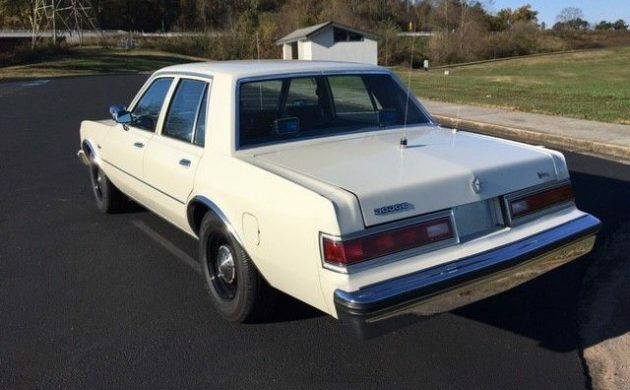 This 1985 Dodge Diplomat is a police package vehicle that the seller claims never saw any actual police duty – no high speed pursuits, no detective sliding across the hood chasing bad guys. It’s likely a captive of a municipality that thought it needed a Dodge Diplomat police sedan, but then never used it for anything other than running errands or ferrying a local dignitary to and from city hall. Who knows? What we do know is that there’s less than 30,000 miles on this Diplomat survivor, and it’s listed here on eBay with a $15,000 Buy-It-Now and the option to submit a best offer. It’s amazing how many 1980s films involving police chases destroyed untold thousands of Dodge Diplomats. These were battering rams, capable of taking untold amounts of abuse, which is why they likely stuck around as long as they did (along with their Gran Fury siblings). Performance was barely above adequate for pursuit duty, with the option to spec a two- or four-barrel carburetor having a big impact on the 318’s ability to perform high-speed duties. 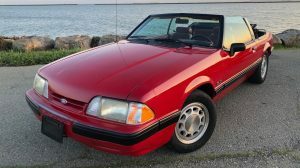 The seller notes that there’s little signs of hard use on this example, which does come with the 318 motor (the Slant 6, which was ungodly slow in this application, was an option). The interior shows no signs of damage, the A/C is still pumping out cold R12, and the power windows and locks still work as intended. On that note, I find it hard to believe a car meant to carry actual criminals would have power windows, so I’m guessing this police-spec Diplomat was never really intended for actual police work. The good news is, active police duty or not, the Diplomat retains all the hard-to-find police spec equipment, like the C/B radio, spotlight, dog-dish hubcaps, and C/B antenna on the trunk lid. There’s a strong following for actual police-spec vehicles, and this strikes me as a daily driver-friendly classic you could use like a normal car without the perils of a project vehicle that may prove less than reliable. Sure, it’s a creampuff – but it won’t ever be so valuable that you have to leave in a bubble in the garage. Thanks to Barn Finds reader Ikey H. for the find. I drove these during my LEO days in both the Diplomat and Gran Fury versions. They were small, agile, and sorta quick-ish with the 4 barrel (Rochester carb, as I recall). The ride was ROUGH. They were pretty awful in the snow, even with rear snow tires. These were my least favorite patrol cars with the exception of some mid 1980’s Chevrolet Celebrities that didn’t last 40,000 miles. Strange though, how I look at this car today with positive feelings and am tempted to buy it. 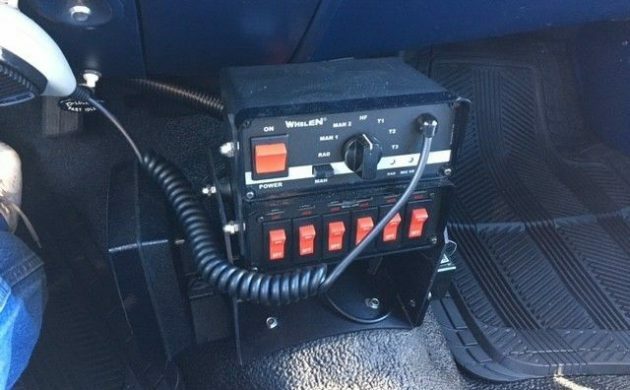 BTW – the equipment mounted is a siren control head and switch box for whatever emergency lighting was installed. I don’t see any communications equipment. It would have had a GE Mastr 2 or the Motorola equivalent. Tons of these found their way into amateur radio service when their public service days were finished. The microphone is for the PA system; the mic you see is hooked up to the siren controller which also runs the PA. There are usually at least 2 mics in emergency vehicles – one for communications, the other for PA.
And “to get the extra horsepower, flip the air cleaner top upside down”, although it didn’t really do much more than give it a louder intake moan and get the fleet mechanic all peeved! A better car than the slant-six Volares some genius Lieutenant ordered when gas pump prices skyrocketed..
Traumapac………THANK YOU FOR YOUR SERVICE!!!!!!!!!!!!!!! 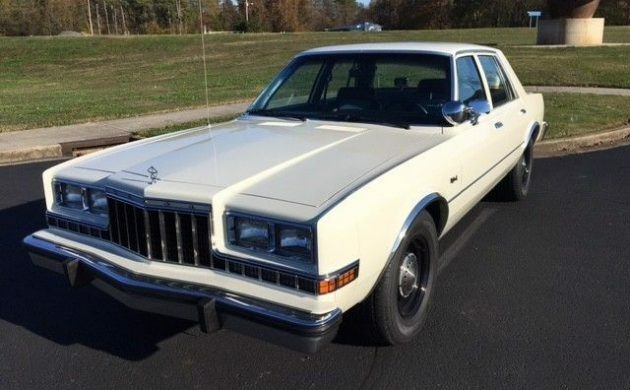 This could pass as a detective’s or chief’s car in a movie set in the 80’s. 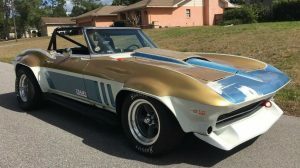 To me, on one hand, the price is way, way too high for what this car is, but on the other hand, where will you find another like it in that condition? Somebody like our friend Traumapac up there is going to see this, get nostalgic and make a deal. I can hear the theme to Hill street blues playing!! Good luck to the new owner! I drove one of these as my work car in 1981/82. My memory told me that mine had a 360. So, I turned to my friend Google and sure enough – the 360 was available up to and including 1984 in the Police Pursuit Package. These cars were good in a straight line with a bulletproof powertrain – but the brakes and handling – not so much. You had to spec out the “Non-isolation” package or else the front cradle (to which the steering & suspension are mounted) and the rear suspension were fully isolated in rubber. No joke. It was that little oversight that really made the difference. No, the 360 was NOT available after 1980. Just to clarify my comments, Mike. I queried Dodge Diplomat Police Pursuit vehicle and it took me to allpar.com. This is a site that covers off all Mopar fleet vehicles. Their info says that the 360 was not available in civilian Diplomats from 1981 forward but was available in police vehicles until 1984. My father bought a Nevada Highway Patrol car from the state auction. It was the only year that the NHP had decided to paint all the cars going out to the public baby blue. (My father’s favorite color) He bought the only one that still had all the spot lights and antennas still installed. I thought that he paid too much for the car. This was about 1985 and he paid $1,650.00 It needed tires and that was about it. He used the car when he was here in Nevada. (he was retired and spent half his time here and the other time in Illinois) In 2001 (or so) he decided to live in Nevada full time. 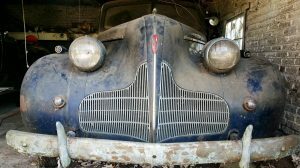 He drove the “blue bomber” back to Illinois to sell since it had no rust and he could get more there. He never made it all the way home before some guy offered hima small pile of money for it at the gas station. (I think he gave up the car for about $4,500) In 2005 I was walking down the street in Puerto Vallarta and saw the car drive past me. There was no mistaking that car! After 115 MPH the front end started to hunt for real estate wider than the lanes on the highway. So it was a handful at speed. But below about 90 MPH it was fairly solid. A story that I heard (not sure it was true) was that the cost to build the Chrysler/Diplomat/Fury was getting too high. The former AMC plant in Kenosha would work if the employees would take a 50 cents an hour pay cut. That way Chrysler could keep building the car and the employees at the plant could keep their jobs. The employees turned down the offer and Chrysler killed the car and closed the plant. Somebody spec’d out the AHB/A-38 package w/o making sure the rubber isolation package on the cradle & leads were not deleted. That’s what caused that. Makes me wonder how many officers were killed due to that. I was attending college in Columbus Ohio in 1975 when I bought a 1971 Fury with the 440. Old police cars were all over Columbus. I was working the night shift at a Sohio station and had access to the lifts and tools. After going over everything it was time to see what she would do. The 440 woke up and began turning fuel and air into speed. The 140 mph certified speedo leaped from 55 to 100 in a few seconds. The Fury lowered its nose into the wind and the speed kept building…110, 120, 130, then the slow climb to 138 mph. Not bad for a cop car with 150,000 miles on it. A few months later I would go through Columbus radar at 130 or so while racing a 1973 454 Impala cop car (he dropped out at 125) on the East Freeway but I’ll save that story for later. You had me feeling like I was in the car! Cool story! As I recall your dad NEVER lost money on ANY car he bought-or much of anything else for that matter. 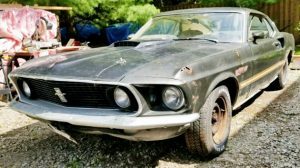 This is near my neck of the woods and has been for sale for quite awhile. I have a strange attraction to these boxy 80s sedans, especially the police units. This one looks crazy clean. Unfortunately though, it’s priced at least four times its actual value. Bummer. I drove my share of them on the KCMOPD and the Jackson County, MO, Sheriff’s Department. They were junk then, and I’m sure they’re still junk. They were only semi-okay for urban police work because you usually didn’t push them hard, except for the fact they were a 24/7 car. They didn’t hold up for that non-stop usage. In rural road work, they were even a worse fit. Just wave good bye to any runner on the interstate. Only 30,000 miles, great. How many hours? Idling for days on end is worse than miles. The AC works so it is a fair bet this was used more as a break room than a police car. I owned it, it has no hours. It was never in service and is DEAD mint. The car was kept in a heated garage since new. It still smells new inside and, no, I have no dog in this fight. Just the facts. It’s the nicest one in existence and totally flawless and original. It was slated for display in the Mopar Survivors tent but I sold it prior to the show. It was inspected by Mel Major, who is in charge of that group. 28,000 miles and 5 owners. why????? Actually those police 318’s came with the first roller rockers for mother mopar and some nice flowing 73cc heads…..better flow than the 340 heads ! Roller rockers? all the mopar stuff I’ve ever worked on all had non ajustable stamped rocker arms, big and small block, chevrolet was the first I think to use roller lifters in sbc in 87. There was no mistaking the diplomat headlight configuration in your rear view mirror, easy car to outrun back then. 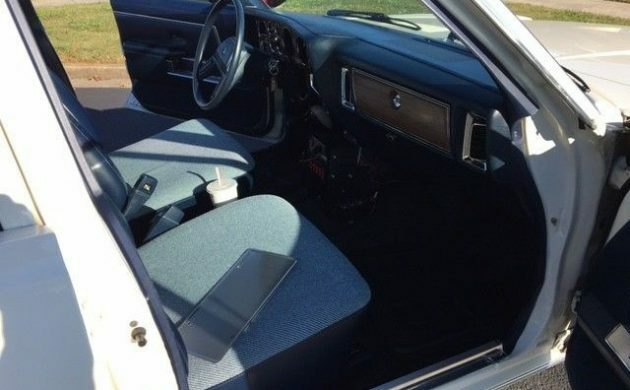 The mid ’80s Crown Vics had the same configuration.